With so many digital options available for dating, mobile apps and online dating websites have sought to streamline the process of hooking up, dating, or finding the person of your dreams. In an attempt to quantify attractive qualities, physical characteristics, personality types, and pretty much anything you factor into finding “the one” has been added to profiles. With the convenience of such apps, many men, negative and positive, have signed on. When becoming romantically involved, even in the digital world, HIV status seems to come to the forefront of discussion. So in the virtual ‘meat market,’ how you discuss your situation in a safe and comfortable way? In their attempt to initiate discussion about HIV status, many new campaigns for these apps have brought about ways to combat HIV stigma within the gay community. Among these different methods a couple of opinions have emerged. 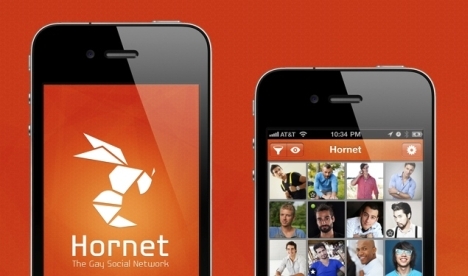 Apps such as “Hornet” advocate for “Knowing Your Status” (KYS). This dating app asks users to disclose their status or give the date of their last HIV test. The app also provides reminders to get tested every six months as well as the location of the nearest testing center in your zip code. Hornet creates a variety of options under the status bar, such as “Positive, Undetectable,” “Negative, on PrEP,” and much more. Alternatively, an app called SCRUFF, hosting “one of the world’s largest online gay communities,” has sought to go beyond HIV status by creating categories like POZ, NEG, and Ask Me. By doing so, SCRUFF hopes to foster conversations and promote healthy and safe relationships. Additionally, both websites offer “positive community” filters, which filters to applicants that are only HIV positive or who are interested in dating in the HIV positive community. While both of these techniques are trying to accomplish the same thing – dispelling stigma surrounding HIV- do they work? As many people can attest, our online selves don’t always represent who we are offline. Disclosing one’s status online may be beneficial, even liberating, but not everyone is comfortable disclosing to friends and family, and then becomes the challenge of keeping the online/app life private. Can this approach liberate some from stigma or will it somehow reinforce it? Does forcing disclosure on dating sites promote openness and truth or do they hinder one’s sexual experiences? Should we just accept that we are living in a world where sexual histories and health information are public domain? Can there be more room for discussion and ambiguity with one’s health status? Certainly fostering discussion and openness are helpful and necessary, but does someone need to give up their privacy to do so? These answers, however, depends on the person and the environment they choose to exist in. For some of people, HIV status is something to be kept private and revealed discretely, while others bare their status openly, with gumption. Each approach has benefits and pitfalls. Navigation of one’s own status is complicated and cannot be solved through an app, no matter how many options they provide. When dating online, people need to be aware of how much they want to share and where they draw their limits. Do these apps work to help diminish stigma? Do they reinforce it? What do you think?